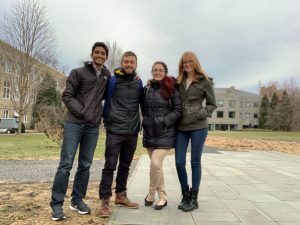 4/12/2019- Lab member Ben Muzekari was awarded (another) LAURA Scholar Award. Way to go, Ben! 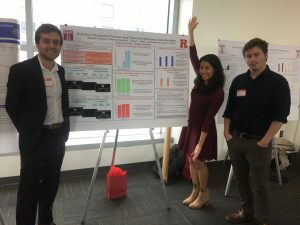 4/11/2019- Lab members Ben Muzekari and Srikar Katta presented work at the Symposium for Undergraduate Research and Creativity. Ben presented a poster related to his ongoing brain stimulation project, while Srikar gave a talk related to philosophy. 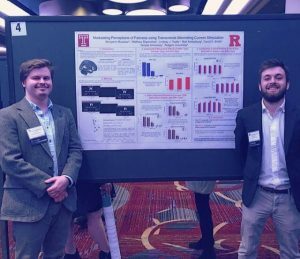 3/3/2019- Lab members Lindsey Tepfer, Matt Slipenchuk, and Ben Muzekari presented their work on brain stimulation at the annual Eastern Psychological Association (EPA) conference in New York City, NY this past weekend. Lindsey Tepfer gave a talk while Matt Slipenchuk and Ben Muzekari presented project posters. This was their first time presenting at a large-scale conference and they represented our team beautifully! 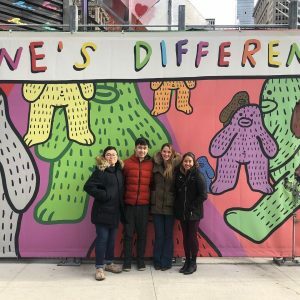 1/27/2019- Lab members spent the weekend attending Software Carpentry workshops in New York City, NY and Swarthmore, PA! These workshops focused heavily on Git, R, Python, and Jupyter. 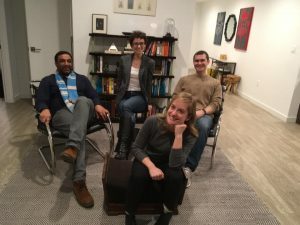 1/11/2019- The Fantastic Four is on the hunt for grad students! 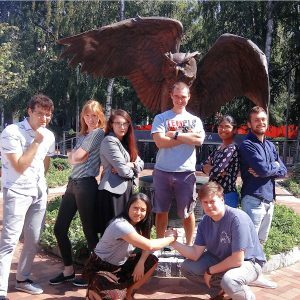 We’re excited to see who joins our team this fall! 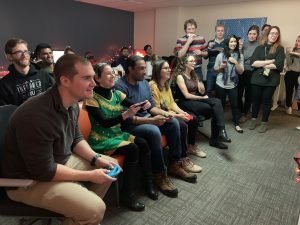 12/18/2018- The Neuroeconomics Lab, Adaptive Memory Lab, and the Social Developmental Neuroscience Lab had a joint-lab Christmas party! 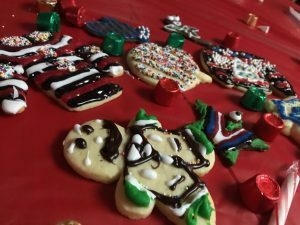 We decorated cookies, enjoyed the warm (YouTube video) fireplace, and had a friendly Mario Kart competition. Happy holidays! 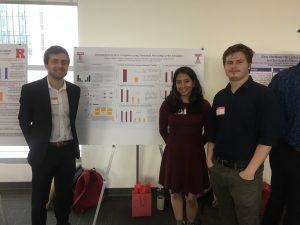 10/10/2018- Lab members Lindsey Tepfer, Matt Slipenchuk, and Ben Muzekari presented their work on brain stimulation at the Neuroscience 10th Anniversary Celebration at Temple University. Go team! 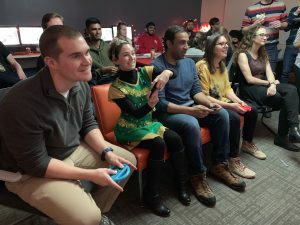 9/4/2018- Our lab was featured in a Temple University article written by lab member Lindsey Tepfer! Check out the article here or click on the photo below. 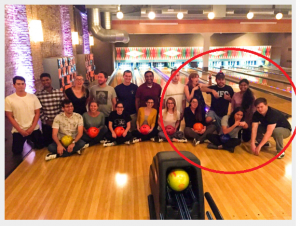 8/31/2018- The Neuroeconomics Lab had a successful victory at the lab bowling tournament against the Adaptive Memory Lab and the Social Developmental Neuroscience Lab. Look at those winners!